NBA player Jeff Teague is taking the mantra "there's no place like home" to a new level. Despite making millions as a professional basketball player, Teague is moving back in with mom and dad. "They got the master [bedroom]. I just got the basement," Teague told Fox Sports 97.5. His decision to move home went viral in recent days because he's 28 and makes $8.8 million playing for the Indiana Pacers. It's not like he can't afford to live in his own place or that he's struggling to land a good job. Turns out, Teague is just following the trend: Living with mom and dad is now the most popular housing choice for 18 to 34-year Americans, according to Pew Research. This is the first time that has happened since the U.S. Census started keeping records about living arrangements over 130 years ago. "So many people know someone who has moved back in with their parents. Any stigma that used to exist isn't there anymore," says Kim Parker, director of social trends research at Pew. The "live at home" trend is especially popular among men under 35. A whopping 35% of young adult men in America now live with their parent(s), versus just 29% of young women. Young men are delaying marriage and all the usual trappings that come with it like home buying and kids. The main reason? Money, or the lack of it. "Men who don't have jobs are much more likely to live at home," says Parker, and "men without jobs are much less likely to be married." Teague's case is a little different than the norm. He has an extremely well paid job, and he actually owns the home where he'll soon be living in the basement. It's in his hometown of Indianapolis. He gave it to his parents when he went to play in Atlanta. Now that he's come back home to play for the Indiana Pacers, he didn't want to kick his parents out, but wanted to live in the house he owned. "I bought a home here some years back...I gave the house to my mom and dad," Teague, a 2015 NBA All-Star, explained in radio interviews. He not worried about his parents setting a curfew or assigning him chores, since his dad likes to mow the lawn. Still, Teague does share this in common with many of his Millennial peers: he isn't married. 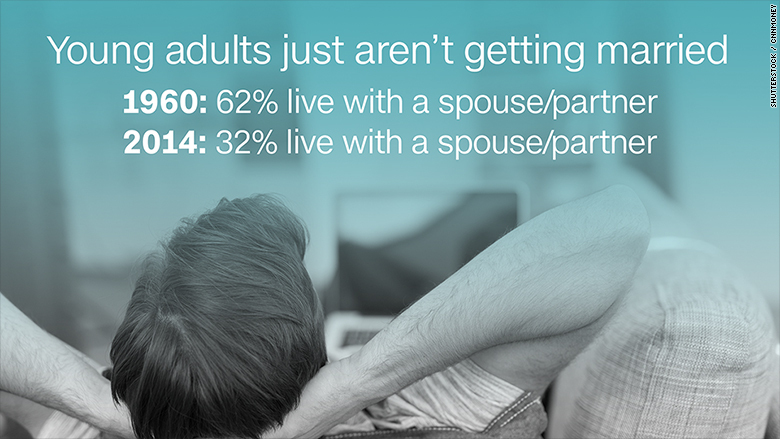 In 1960, 62% of young adults in the U.S. lived with a spouse or partner in their own place. That was the most common living arrangement by far. Today, less than 32% of young adults live with a spouse or partner. The big debate is whether Millennials will ever get the itch to get hitched and settle down. Are young adults just delaying marriage and getting a place of their own or are they ditching the settled lifestyle forever? 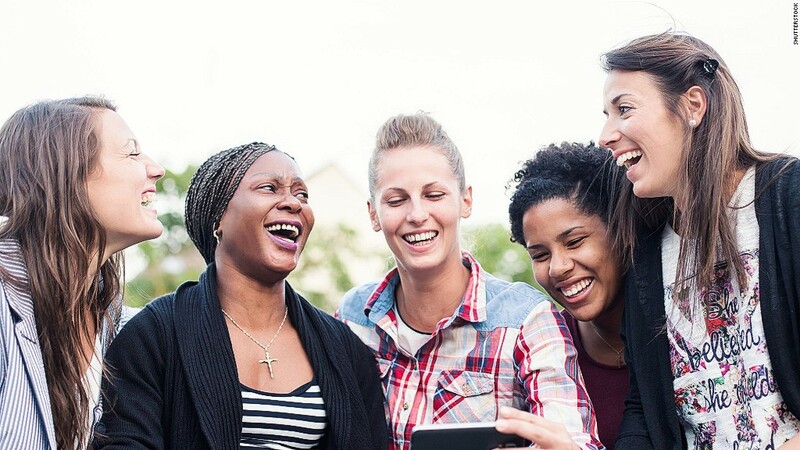 Millennials do want a house of their own someday, concludes a new study by the Joint Center for Housing Studies at Harvard says The report projects Millennial households will skyrocket from 16 million now to 40 million by 2025, a big boost to the housing market. Even for Millennials, the American Dream still includes owning a home. The researchers point out that 89% of Americans who are 30 or under say they would like to buy a home. The biggest hindrance is financing, especially because more and more young people have student debt. "The question is not so much whether families will want to buy homes in the future, but whether they will be able to do so," says Chris Herbert, managing director of Harvard's Joint Center for Housing Studies. Economist Ed Yardeni of Yardeni Research is also optimistic that Millennials aren't that different from everybody else, at least when it comes to housing. He notes that the "headlines are somewhat misleading" on the big surge of Millennials living at home. It's actually not that different from the 1940s when about 35% of young adults lived at home as they struggled to save enough money to live on their own after the Great Depression. What is different today, Yardeni says, is the downturn in married young adults and the major uptick in the number of Millennials living alone or as single parents. Moving back home isn't a new idea, it's just that right now it's more popular than anything else. Yardeni expects more Millennials to buy homes on their own and get married in their 30s. In other words, the "living with mom and dad" trend is likely to go out of fashion soon.